I’d like to become a member of the GLSS – how do I join? What types of events does the GLSS sponsor? What are the GLSS safety / shorthanded seminars all about? How can I learn more about shorthanded or singlehanded sailing? What is the Annual General Meeting or AGM all about? How do I use PayPal from your website? Are members available to answer questions I might have? How can I learn more about the Solo Challenges? What are the basic requirements to enter a Solo Challenge? If I complete one of the shorter GLSS solo races, will I be able to use that as a qualifier to enter one of the Solo Challenges? What are the boat length and safety gear requirements to participate in your events? I sent in my entry – how will I know if it was received and accepted? Where can I dock before and after a Solo Challenge and is the slip fee included in the entry fee? How much time should I allot to complete a Solo Challenge, and what does it costs to enter? What does a Super Mac or a Super Mac and Back involve? What is the procedure for passage through the Locks at Sault St Marie or Soo Locks or the Welland Canal Locks and how do I handle customs issues? How can I comply with the life raft requirement for the Solo Challenges? What is the story on tracking and the Spot requirement for the Solo Challenges? Click on the links above for more details. Successful completion of one of those events entitles you to lifetime membership! But to vote at the annual meeting and for future race discounts you must pay modest annual dues. What types of events does GLSS sponsor? GLSS sponsors or co-sponsors three types of races. These include shorter races typically between 50 and 100 NM, the GLSS Solo Challenges in each of the Great Lakes which are between 230 and 336 NM (completion of which confers on one life time GLSS membership) and longer races such as the Super Mac at 517 NM and the Super Mac and Back at 1034 NM. 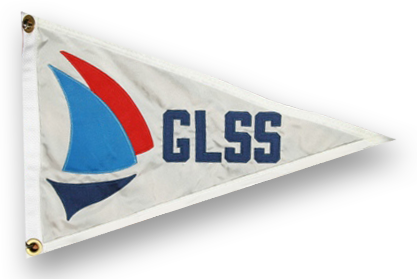 GLSS also sponsors educational safety / shorthanded sailing seminars in the spring of each year in various places around the Great Lakes. Early in the year, usually January, GLSS holds an annual general meeting or AGM for short. Nonmembers are welcome at all these meetings. The GLSS web calendar provides more detailed information on GLSS events. Last year’s events typically remain posted until specifics are available for the next year, to give sailors an idea of what to look for in the coming year. Click on the link below to access the GLSS web calendar. The GLSS safety / shorthanded seminars are held to educate sailors about shorthanded sailing techniques and safety. The agendas vary but typically they may cover such issues as autopilots, rigging and deck layout, watch standing, electronics, clothing, sails, safety equipment, collision avoidance, and solo voyage experiences of GLSS members. These seminars have material that will be of interest to both the experienced sailor and novice weather one sails singlehanded or with a crew. This is also a great opportunity to talk to experienced singlehanded sailors. These seminars are held in the winter and spring of each year at various locations in Detroit, Chicago, and Port Credit. Check the GLSS web calendar for exact times and locations. Also sign up for the GLSS blast e-mail which will announce these seminars. The Annual General Meeting or AGM is the official annual meeting of the Great Lakes Single Handed Society. We have an official meeting and vote on new GLSS Board members and handle any other official business but this is usually short. We also have dinner and one or more guest speakers. We also spend a lot of time just talking to each other and sharing stories and having something to drink. Nonmembers are welcome and this is a great time to make contacts with other solo sailors. These meetings are usually held in January and alternate between Chicago and Detroit. First off, look for the PayPal logo, which is really a link which takes you to a secure PayPal payment page. If you are already a PayPal member, simply log into your account and complete the transaction. If you are not a PayPal member, you may still utilize PayPal by paying with a credit card rather than a personal banking account. PayPal will offer you the opportunity to join, but you are under no obligation to do so. Either way, before submitting your purchase for payment by clicking the “Pay” button, please be sure to fill in any supplementary boxes such as “Guest’s Name” – this will help greatly with the filling of your order. Lastly, PayPal doesn’t cost you anything to use, it allows us to make a refund quickly and easily if need be, and greatly simplifies the record keeping – in other words, we can serve you much better! We prefer it to checks, and gold doubloons so please consider using it where you can. I have questions that do not seem to be answered on the web site, who can help me? The best way to learn more about a Solo Challenge is to go to the GLSS web page for that event. Links to these pages are provided below. We try to post the dates for next years events in the fall of the year on our web calendar which has a link below. The details on the specific Solo Challenge page are not published until late winter or spring of the event year but the details of the last years event typically remain on the web until the next years details are posted. Event details including the Notice of Race (NOR), Equipment Requirement, and Sailing Instructions (SI) of the last event will give one a good idea of what to expect as the details are usually little changed. Be sure to review the qualification requirements at the bottom of the page which include early submittal or a sailing resume and evidence of a solo passage in the boat you intend to sail in. A great resource is the article: 20 Steps to the Starting Line which includes a step by step guide in preparing to do a solo challenge. If you have more questions contact the event Chairman or Director even if it is last years information. Details of the requirements to enter a Solo Challenge are spelled out in the Notice of Race or NOR for each event. Be sure to read these carefully if this is your first Solo Challenge. Detailed resume and solo passage requirements are spelled out at the bottom of each Solo Challenge web page. Basically they require that you have at least 1000 NM of sailing experience either solo or with a crew, that you submit a sailing resume and complete a solo passage in the boat you intend to use of both at least 24 hours and at least 100 NM. This requirement is waived after successful completion of you first Solo Challenge. In addition your boat must meet requirements spelled out in the required equipment list referenced in the NOR and typically published on the web page. Prospective skippers must document a solo passage of at least 100 statute miles, and covering a time of at least 24 hours. Most of the shorter races are less than this. One may be able to extend either or both sailing time and distance to meet this requirement however these races are not specifically intended to be used as qualifiers for the Solo Challenges. What are the boat length requirements to participate in your events? Specific requirements are spelled out in the Notice of Race for each race but generally speaking, boats between the lengths of 25′ and 50′ are eligible. Exceptions to the length requirements may be made on a case by case basis by the GLSS Board of Directors, or one of the individual race chairs. If you do have a boat that falls outside of the realm of conventional design, or doesn’t fit within the normal length requirements, you would be well advised to submit the information early as it will take some extra time to make the determination. What kind of equipment do I need to compete in a Solo Challenge? Much of the required equipment is already on board your boat, mandated by Coast Guard regulations. A couple of the major items that are in addition would be an autopilot (beyond just lashing the tiller or wheel), and a life raft (which you may rent). Just because you have been doing crewed races don’t assume you have all the required equipment. Some items required for crewed races are not required and some additional items are required. Please refer to the complete Standard Equipment List link below for more details but also check out the NOR for the specific race. Entries take some time to be processed, and if you are a first-time entrant, it must additionally be approved by the GLSS Board of Directors. When your entry has been approved, you will be notified by the Challenge Chairman via an email. If there are any deficiencies that need correcting, they will be noted in the email. This depends on the specific race. In some cases dockage is provided at hosting marinas and there may or may not be a fee depending on the race. More details are provided on the web pages for the specific Solo Challenge and in the docking information provided in the question below. How much time should I allot to complete a Solo Challenge? We all wish we could tell you the answer to this accurately but it depends on a lot of things including weather conditions, boat size and type, and your sailing ability. The best way to get an idea of how long a Solo Challenge will take is to look at the race results for the particular races you are interested in. The link below goes to the web page that lists all the races and almost all the results. Look at the results the race you are interested in and several dates choosing boats of similar size and you should be able to get a rough idea of the range of times it might take to complete a Solo Challenge. What is the fee to enter a Solo Challenge? The fees for each of the Solo Challenges are spelled out in the Notice of Race or NOR for each specific race. A Super Mac or Super Mac and Back Solo Challenge both start out the same as any regular Mac Challenge. You may start in either Port Huron or Chicago, and as you cross the first finish line at Mackinac Island, you will receive credit for completing the appropriate Mac Challenge. If you had started in Port Huron, you will continue by the same course the Chicago-Mac skippers took to Mackinac back down the lake to a finish in Chicago if you are completing a Super Mac. Chicago skippers continue past Mackinac Island back down the lake by the same course that the Port Huron skippers took to Mackinac to a finish at Port Huron, for the Chicago-Port Huron Super Mac. To complete a Super Mac and Back, skippers will round a designated point at either Chicago or Port Huron and return to their original starting point via the same course that they have just sailed. The time required to complete one of these marathons will obviously vary greatly depending on the winds encountered – the Super Macs are nearly 517 NM and have taken as long as nearly a week to complete in the past. A Super Mac and Back at 1034 NM could easily be double that. The Super Mac and Back is the longest race in the Great Lakes, actually it is three races in one for which one receives three medallions. Actual experiences from these races are documented in papers on our Safety and Education Page at the link below. What is the procedure for passage through the Locks at Sault St Marie or Soo Locks or the Welland Canal Locks between Lake Huron and Lake Superior? What is involved in Customs or border crossing issues between the US and Canada? This depends on your nationality and which GLSS race you are participating in. Most races start and end in the same country but pass in both Canadian and US waters. Emergency ports could be in either country. It is strongly suggested that one carry documentations that will allow you to go between countries if necessary. The document linked below discussed the issues involved in more detail and lists the countries involved in each race. There are several ways to comply with the life raft requirement. The cheapest and easiest of the methods is to simply borrow one from a fellow sailor. As long as it has been serviced within 40 months from the start of the race, you are good to go. Something to consider though, if you intend to borrow a large 10 man (or bigger) raft from a crewed racer – these rafts are designed to be used by the max capacity and part of their stability is dependent on having lot of bodies in it. With just a solo sailor, in rough conditions, stability may be a concern. A smaller 4 man or 6 man is a better fit for the solo sailor, and you are able to brace yourself much better in a smaller raft. There are rafts for rent, just for the duration of the race, and the cost is much more reasonable than purchasing a new life raft. Sailing magazine classified sections usually include such information. Alternatively if you’re unable to find the info on your own, we’ll try to help. If your pockets are deeper, and you wish the security of having your own raft, they may be purchased from Winslow or Switlik, to name a few. Bottom line, get the right size, and make sure it has been inspected within 40 months of the race. How does tracking work for the Solo Challenges, and do I have to own a Spot tracker? There seem to be two camps when it comes to having your boat tracked on the solo challenges. Most people have responded positively to the tracking as it lets family and friends see where you are on the course, how you are doing compared to other boats and that you appear to be safe and moving in the right direction. Others feel any additional equipment costs are not necessary, and feel part of the goal of solo sailing is to get away from being tracked. For 2014, we are trying to accommodate both camps. The GLSS board feels the Spot device and tracking in general provides an important safety feature for participants as with a Spot device, it would be far easier to locate a boat that was having trouble and notice lack of progress or unusual course headings. Yes, it is true that AIS can provide some of this, but no one is tracking the AIS signal during the challenge, where the race committee and others will be watching the Spot tracking page. In addition, the Spot device and tracking in general (in 2014 we will be using Kattack tracking services to consolidate all the spot trackers on one web page) add visibility and hopefully interest to the GLSS events. For these reasons, the spot device is strongly recommended for all GLSS events, but it will only be required for Challenges that are over 350 Nautical Miles in length. The duration of these events and distance between the participants makes radio checkins difficult and so Spot tracking is required for these events. The bottom line is unless you are doing a Challenge longer than 350 NM, you can choose not to be tracked, and do not need a Spot device or the service. If you want to be tracked, you will need to buy or rent a Spot tracker. If you own a spot device, in order for the tracking to work, you must ensure your tracking option subscription is renewed for the race (this is around $149/yr to support tracking in any use of your Spot, not just on your boat). We track the boats using your Spot share page and tracking service. As we get close to the Challenge start, we will let all registered skippers know how to set up a share page and what information we need to track them on the course. If you have questions on this, please send an email to glsswebmaster@gmail.com. Ken Verhaeren has arranged for 4 Spot devices that can be rented for each event on a first come, first serve basis for $60 per event. Please contact Ken if you want to use a rental Spot. The Spot and the tracking web page do not have anything to do with ship to ship avoidance, only website displays in real time of a fleet of boat positions. The Spot discussion and tracking is very separate from the goal of AIS. They serve different functions and have no overlap.